*This might not be true. Of course I don't particularly like getting up in the night, or waking up for the day at 5am most mornings, but I chose to have little people and it would appear that mine don't like or need very much sleep so it is something that I have accepted and grown used to. I do still see sleep as The Holy Grail though, and dream of being able to lie in at least until CBeebies starts, if not a bit later! Evie is only seven months old so can be excused for her night wakings and early starts, but at three and a half, Daisy should really know better. I've tried all sorts in an attempt to persuade her to stay in her own bed all night but nothing has worked and it's pretty much guaranteed that, come the morning, there will be three people in our bed - if not four! That was until three weeks ago. All of a sudden, the middle-of-the-night visits to our bedroom and the dawn chorus wakings stopped. Just like that. I waited three weeks to write this post, just to make sure it wasn't a fluke but, lo and behold, I can now confirm that it is The Gro Company that we have to thank. 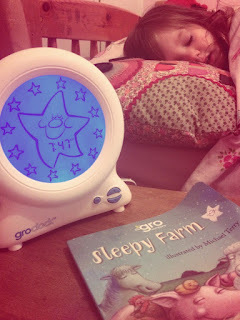 After lots of tweets of advice and suggestions from other Mums, it turned out that The Gro Clock was a really popular product when it came to getting little people to sleep in their own beds. It was recommended to me by forty three of you. (I know - I counted!). So when they offered to send us one to try out I said 'YES PLEASE' straight away. I have to admit I was a bit sceptical - after all, Daisy totally understands that she should stay in her own bed and that she shouldn't get up until breakfast time - but the little bugger chooses not to! I wasn't sure a clock that tells you when it's ok to get up would actually do the trick. But twenty one nights of decent sleep later, I think it's safe to say that it did! So. The Gro Clock. 'What is it?' I hear you ask. 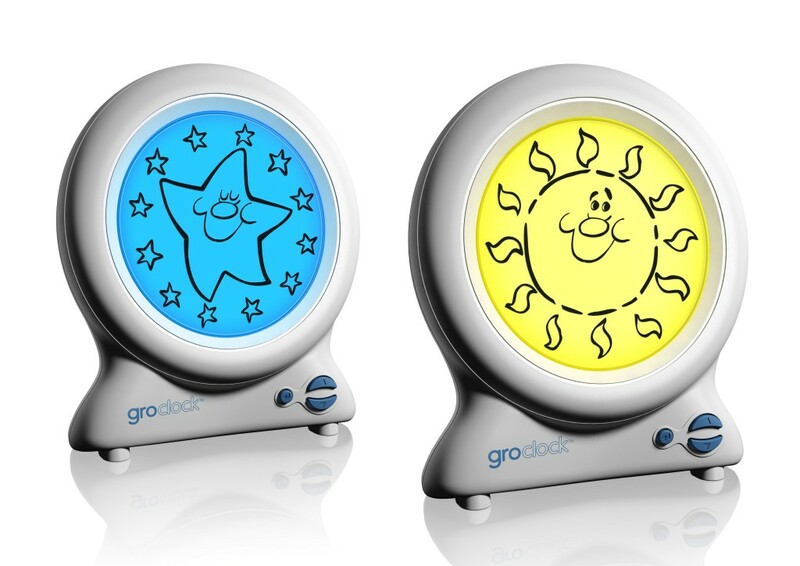 It's basically a super simple clock, suitable for children aged 2+, that tells them when its time to get up. It uses fun images of the stars and the sun to tell children whether they should go back to sleep or if it's ok to go and pounce on Mum and Dad (if they aren't up already!). It comes with a gorgeous book about a naughty, lazy piggy whose friends buy him a Gro Clock of his own, which helps to encourage them to get plenty of sleep! You set an acceptable time to get up (like an alarm but there is no tone - unless you choose to have one) and as you read the story, you set the clock to night time. From that moment until the wake up time you have set, a stars to sun countdown begins and the stars go out one by one. This is a great feature for older kids, as they can actually see whether they are half way through the night or if it is very nearly morning. The clock also doubles up as a nightlight (with adjustable screen brightness) and you can display a digital clock too if you like. It's possible to set two separate wake up times (eg a later one for weekends!) and the clock is mains powered, so no batteries required! Back to our experience of it. On night one, we set it all up, read the book and switched it on as we were supposed to. We'd told Daisy all about it beforehand and she was REALLY excited to have one. She managed to stay awake for three hours post bedtime (this doesn't usually happen) and kept shouting downstairs to us when she saw a star disappear. We panicked a bit, but needn't have - three hours later she was snoring like a man. We experienced two wake ups that night, but both times she just shouted to us from her room. Something along the lines of 'MUMMY! I'm awake but my Gro Clock says I can't get out of bed yet so I'm just going to stay here!'. I was very surprised when she actually did! The next morning she woke up at 5.30. I had set the Gro Clock's acceptable waking time as 6am as I'd hoped she'd snooze til then (at least) and wake up to the sun's face on the clock. She was so thrilled that there was only one star left on the clock face that she insisted on staying in bed to watch it disappear and the big star to turn into the sun! YES REALLY. The following few nights saw a similar pattern, with lots of excitement at bedtime and the odd night time wake up but no visits to our bedroom! It then took ten days for the wake ups to stop altogether and another five days for her to master the art of sleeping past 6am. I have to confess I have no idea how it has worked, but it has - and three weeks on I know it isn't a coincidence. I just wish I'd discovered it sooner! The Gro Clock is available from The Gro Shop here and is currently reduced in price from £29.99 to £24.99. HOWEVER! I have one to giveaway to one lucky reader! As per my usual giveaway terms and conditions, I'm using the Rafflecopter widget below. Everyone is entitled to a whopping eight entries each - you can follow me and The Gro Company on Twitter, like us both on Facebook and tweet about the competition too. For a bonus three entries, you should follow this blog by Google Friend Connect or NetworkedBlogs and confirm in the comments below that you have done so. The competition closes at midnight on 2nd July 2013 and the winner will be announced on here, on Facebook and on Twitter on 4th July. This competition is open to UK residents only. 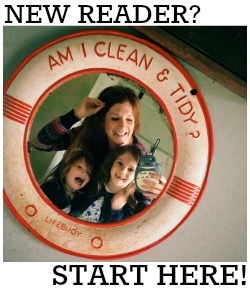 If there is even the teensiest chance that this might work I think I need to try it - says the Mama with a toddler asleep on her head! Fabulous prize. Just what is needed if it helps. I need this for my son hes up at the crack of a sparrows trump! Wanted one of these for a while now. Following on Networked Blogs. This sounds wonderful! I have to say I was enjoying reading your review, then got to the 'snoring like a man' part and nearly snorted my coffee out of my nose heehee. Isn't it funny how cute and petite and delicate our wee ones are, yet the noises they can make! I follow on GFC as Lesley Bain, and Networked Blogs as Les A Bain.